Beautiful Pool home on a Cul-De-Sac with mature landscaping perfectly suited for entertaining and family life. 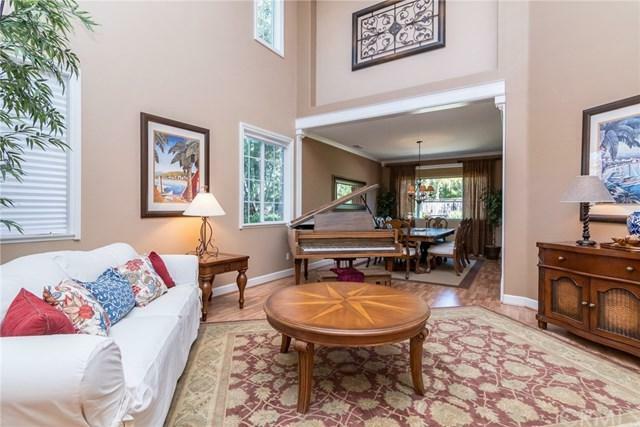 Close to Temecula Wine Country and Lake Skinner. This home is turn-key and should be seen to be appreciated. 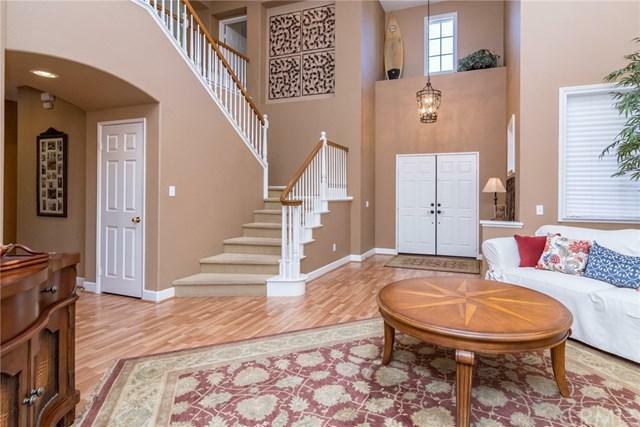 Private large front porch with double door entry into formal living and dining room. Three car garage, downstairs office/bedroom and downstairs large laundry room with utility sink. The bright and spacious kitchen with granite counters and stainless steel appliances has a center island and pantry which opens to family room with fireplace and beautiful view of the pool and spa. The upstairs Master Bedroom is huge with a hall of mirrored closets offering dual vanities, separate shower and soaking tub. Expansive loft area with Jack n Jill bathroom shared with one of the two additional upstairs bedrooms. The backyard pool/spa area is truly an entertainer's dream with a private park-like setting with apple, orange, plum and lemon trees. Ceiling fans throughout, low HOA, close to schools and shopping. Exclusions All Refigerators Washer And Dryer Red Tool Bench in Garage Fireplace in Bedroom Four iron Decorations Above Stairs. Inclusions Shed On Side Yard.